Dave Cotton is chairman of Cotton & Company LLP, Certified Public Accoun­tants. Cotton & Company is headquartered in Alexan­dria, Virginia. The firm was founded in 1981 and has a practice concentration in assist­ing government grantees and contractors, Federal and State government agencies, and inspectors general with a variety of govern­ment program-related assurance and advisory services. Cotton & Company has performed grant and contract, indirect cost rate, financial statement, financial related, and performance audits for more than two dozen Federal inspectors general as well as numer­ous other Federal and State agencies and programs. Cotton & Company’s Federal agency audit clients have included the U.S. Government Accountability Office, the U.S. Navy, the U.S. House of Representatives, the U.S. Capitol Police, the U.S. Small Business Administration, the U.S. Bureau of Prisons, the Millennium Challenge Corporation, the U.S. Marshals Service, and the Bureau of Alcohol, Tobacco, Firearms and Explosives. Cotton & Company also assists numerous Federal agencies in preparing financial statements and improving financial management, accounting, and internal control systems. Cotton & Company has conducted financial and compliance audits of federal contractors and grantees for numerous federal agencies and offices of inspector general, including the Department of Energy, National Science Foundation, Environmental Protection Agency, Department of State, Agency for International Development, Corporation for National and Community Service, and the Department of Justice. Dave directed most of these engagements. Dave received a BS in me­chanical engineering (1971) and an MBA in management science and labor rela­tions (1972) from Lehigh University in Bethle­hem, PA. He also pursued gradu­ate studies in accounting and auditing at the University of Chicago, Graduate School of Business (1977 to 1978). He is a Certified Public Accountant (CPA), Certified Fraud Examiner (CFE), and Certified Government Financial Manager (CGFM). Dave served on the Advisory Council on Government Auditing Standards (the Council advises the United States Comptroller General on promulgation of Government Auditing Standards—GAO’s yellow book) from 2006 to 2009. He served on the Institute of Internal Auditors (IIA) Anti-Fraud Programs and Controls Task Force and co-authored Managing the Business Risk of Fraud: A Practical Guide. He served on the American Institute of CPAs Anti-Fraud Task Force and co-authored Management Override: The Achilles Heel of Fraud Prevention. 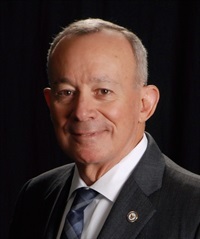 He is the past-chairman of the AICPA Federal Accounting and Auditing Subcommittee and has served on the AICPA Gov­ernmental Account­ing and Auditing Com­mit­tee and the Government Technical Standards Subcom­mittee of the AICPA Profes­sional Ethics Execu­tive Commit­tee. He authored the AICPA’s 8-hour continuing professional education course, Joint and Indirect Cost Allocations—How to Prepare and Audit Them. Dave served as a technical reviewer for the 1999 through 2003 editions of the AICPA Audit and Accounting Guide Audits of Federal Government Contractors. He is presently serving on the AICPA’s Performance Audit Standards Task Force and is chairing the Fraud Risk Guidance Task Force, sponsored by the Committee of Sponsoring Organizations (COSO) of the Treadway Commission and the ACFE. Dave served on the board of the Virginia Society of Certified Public Accountants (VSCPA) and on the VSCPA Litigation Services Committee, Professional Ethics Committee, Quality Review Committee, and Governmental Accounting and Auditing Committee. He is member of the Greater Washington Society of CPAs (GWSCPA). He is a member of the Association of Government Accountants (AGA) and past-advisory board chairman and past-president of the AGA Northern Virginia Chapter. He is also a member of the Institute of Internal Auditors and the Association of Certified Fraud Examiners. Dave has testified as an expert in governmental accounting, cost accounting, contract claims, auditing, and fraud issues before the United States Court of Federal Claims and other administrative and judicial bodies. Dave has spoken frequently on cost accounting, professional ethics, and auditors’ fraud detection responsibilities under SAS 99, Consideration of Fraud in a Financial Statement Audit. He has been an instructor for the George Washington University masters of accountancy program (Fraud Examination and Forensic Accounting), and instructs for the George Mason University Small Business Development Center (Fundamentals of Accounting for Government Contracts). Dave was the recipient of the AGA’s 2006 Barr Award (“to recognize the cumulative achievements of private sector individuals who throughout their careers have served as a role model for others and who have consistently exhibited the highest personal and professional standards”) as well as AGA’s 2012 Educator Award (“to recognize individuals who have made significant contributions to the education and training of government financial managers”).